SO MUCH of my current role relates back to the work I did with MAPH…surprising since my MAPH focus was actually in Philosophy! 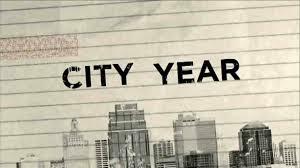 City Year is one of the premier organizations working in the education space – AmeriCorps members between the ages of 17 and 24 commit an entire year to working full-time in underresourced, underperforming public schools, supporting teachers and administrators as tutors and mentors to ensure students reach graduation on-track and on-time. The focus of my study with MAPH was around the intersection of Philosophy of Language and Ethics – can the way we learn and use language actually dictate what we value or hold as truths? I utilize that understanding of the power and influence of language in working with the students in our program every day, challenging them to think deeper about how they came to their beliefs about what’s right and what’s wrong. I also use it when I speak about our work and our place in the education reform space with community partners, encouraging them to consider how their own background and beliefs might have shaped a future far different from that of the students our program serves. Beyond that, I see connections to my work with MAPH in the skill set I built as a graduate student in the program. My work in the nonprofit space involves quite a bit of high level research, formal and creative writing, professional networking, and event planning. So many of the skills and qualifications this sort of work requires are skills and qualifications I had the opportunity to hone as a MAPH student. What did you focus on in MAPH? I originally came in to the MAPH program with the intention that many MAPHers have – to use the program as a stepping stone to a PhD. For me, that PhD was going to be in Philosophy of Language, with a focus on Wittgenstein. I had the opportunity to take a few courses with James Conant, which was a delight, but my favorite courses actually didn’t wind up being those I took within the Philosophy department. I decided to bulk up in Semantics through a few courses with the Linguistics department, and wound up in high-level classes with the great Chris Kennedy. My year with MAPH was one of the toughest of my life – I essentially had to teach myself an entire undergraduate term worth of Linguistics material to keep up with the course material (which meant I took on a bit of a “Beautiful Mind” type craziness in my tiny apartment) – but it was also one of the most exciting. I absolutely LOVED the intricacies of Semantics, the way it took the complexity of language and transformed it into tangible math formulas and equations. It appealed to my instincts to find new and practical ways to think about abstract ideas. In MAPH, you worked at JumpStart. What was this experience like? 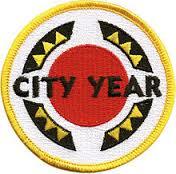 How did this inform your time in MAPH and your post-MAPH career choices? This is a tough question, because I didn’t know at the time just how intertwined my JumpStart and MAPH experiences were. 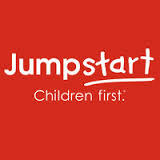 JumpStart is such a unique and wonderful opportunity – you get to take advantage of work study funds to serve part-time in teams with your fellow university students, taking over a preschool classroom for a few hours every week to teach beginning reading skills. I’d been involved in community service all of my life, and social justice issues, especially those concerning underserved children, were always top of my mind. But for me, serving the community was always something I did on my own time…it was never a consideration as a career choice. Then, I led a team of University of Chicago undergraduates across the Midway Plaisance to serve at Wadsworth Elementary school in Woodlawn, and all of a sudden I saw the concepts and questions we were discussing in my MAPH courses come to life in the struggles and challenges my tiny, 4 year-old students were facing. Ethical considerations, the place of societal norms in personal moral choices, the influence of poverty on family dynamics, political responsibilities and the effect of failing to meet those responsibilities…it was all embodied in the crayon drawings and stilted storytelling of those little ones. And beyond that, I saw my own personal struggle with the responsibility of academics to create real and meaningful change play out in my work with JumpStart. I realized that I didn’t have to wait for the day I taught my first class as a professor or published my first groundbreaking philosophical masterpiece to change the world. I was doing it, every day, by providing those children with a higher-quality education…helping them see their own potential for a better future. It gave the work I was doing in my MAPH courses practical application, and my MAPH work gave my time with JumpStart a nuanced understanding of the complexity of work in the human services space. With JumpStart, I finally felt as though I’d found a role that brought together all of my past experiences and my passions and interests, and it became the obvious next step. What advice would you give to MAPH students interested in translating their academic work into a career in service? What advice would I give? Make sure that it’s the right decision for you. And then…do whatever it takes to make it happen! How do academia and service relate to each other for you? Work in the nonprofit field is incredibly rewarding – you don’t have to search to see the impact of your role, the change for the better your organization is a part of creating. But it’s also incredibly difficult. There are sacrifices that you make when you transition away from profit-earning companies that provide ample benefits, time off, and business happy hours. You’ll work harder than the majority of your corporate-employed peers, and make far, far less. People who do this work – or at least who do it well and enjoy it – don’t do it for the salary. They do it because they believe in their organization, in the impact their work has on the ability of the organization to thrive, and in the overarching truth that a few dedicated people can change the world for the better. For me, my service work is in the education reform space, so I still get a pretty hefty dose of academia on a regular basis. I don’t believe that it’s difficult to see the connections in general, however, nor do I think that lines should be drawn between academia and service. It’s always irritated me a bit that we put a fancy name – “academia” – on the study of complex and universal issues, and that apparently gives us license to remain there…just studying. What good is the study of these issues if we never arrive at practical, implementable solutions? Isn’t that the point of the Humanities – to better understand how we’re connected to each other as humans? I believe that to continue to encourage students to pursue knowledge without practice, to remain at the abstract without any connection to the real, tough, world, does a disservice to those students. I believe service should be an integral part of academia, with the thought that any education without service is an incomplete, unexceptional one. The people! MAPHers are a unique group of people, but each and every one of the individuals I met through the program had one thing in common – their commitment to pursuing their passions. I loved just meeting over a meal or a drink and watching someone’s eyes light up as they talked about the impact of Romantic poetry on nationalism or how the daguerreotype process launched photography as we know it. I still count my fellow MAPHers as some of the most brilliant people I know, and as some of my best friends.